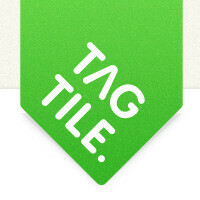 The San Francisco-based startup offered Tagtile Cubes to businesses. Once plugged in, the cube allowed customers to tap their phones against it to sign up for merchant offers, rewards, notifications, and to share their visit on Facebook and Twitter. Business owners were able to track their customer base, frequency of visits, and access marketing tools to help grow their business. While an exact figure hasn’t been released as to how much Tagtile was acquired for, it is interesting that the announcement coincides with the launch of Facebook Offers, which allows businesses to post offers via their Facebook page and gives users an easy was to redeem them. Fb is starting to buy up the world........! !